· Access to all the real estate listings in the MLS. · A place to manage your searches for properties that meet your needs. 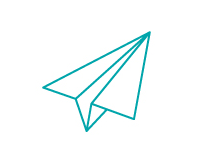 · New Listings and picture changes delivered to your inbox. · Answers to all your home buying questions. We are here to help YOU! · Instantly available map of comparable homes for sale in your neighborhood, direct from the MLS. · A saved home search will send you an email alert when a competing home comes on the market. · Answers to all your home selling questions, even if you owe more than your home is worth! We are here to help You! Terri Alphin Smith & Co. is the premier Real Estate Team in Jacksonville, NC, led by the hands-down market leader when it comes to new construction sales – Terri Alphin Smith. Terri represents one of the area’s top local builders, Sydes Communities in Stateside, Onslow Bay and the Burroughs at Carolina Plantations in Jacksonville as well as in The Preserve at Tidewater in Sneads Ferry. We have two model homes OPEN DAILY! In Stateside, visit 201 Wood House Drive, Jacksonville, NC. In Onslow Bay, visit 102 South Sea Street, Jacksonville, NC. We look forward to meeting you! Born in Portland Maine and as the son of a Navy Commander, I spent my life as a kid getting bounced around the northeast. As a touring musician, I spent my life bouncing around the world. When I decided to come off the road, my wife and I got out of the hustle and bustle and moved to Sneads Ferry because of the great beaches, fantastic weather and easy going people. My wife and I are happy here and have found a great home, and I want to do the same for you. We bought the home we love from Traci Locke through Terri Alphin Smith. Now I'm proud to be working with her on the Terri Alphin Smith team. When a client chooses me as their agent, they not only get my enthusiasm, focus, and attention, but they get the confidence that I have the knowledge and expertise of Terri Alphin Smith's team behind me and the strength of the Coldwell Banker Sea Coast Advantage. When not helping people find their dream home, I can be found playing bass in "The Rhythm Bones" or other acts I perform with in the Wilmington NC area. I was born in Jacksonville and have lived in Richlands my whole life. It is a privilege to be able to call Eastern NC my home. I also married a native of the Richlands area. We have two boys, Justin and Ashlee, who keep us busy. Whether you are buying, selling or renting in Eastern NC or the surrounding areas I am here for you. Being a native of the area, I feel that I have so much more to offer home buyers coming to this area. I will always work hard to ensure that my clients have the greatest home buying experience. I was born and raised in Louisville, Kentucky. I have been in the home industry since 1975. I was a home builder and site devoloper. A member of the Louisville Home Builders Association for 30 years and a member of the National Home Builders association for 28 years. My beautiful wife Mary and I moved to Eastern North Carolina in September of 2007 to be close to our two Granddaughters. Now we are Great Grandparents! Since being here in ENC we have enjoyed the area and the NC livestyles. With the housing market in my blood, being in the real estate market was a must. Knowing the in's and out's of the construction of homes is a huge help for me helping buyers pick the perfect home and helping sellers market their home and get the best return on their investment when selling. Please let me know how I may assist you in your real estate needs. Before moving to Jacksonville in June of 2017 we lived in Oceanside, California for 20 plus years. I served as a Marine from 1996-2000. I have also worked with a non- profit organization ACT Today with Military youth with Autism. I enjoy spending my time raising my 2 beautiful children. We have a daughter who is a senior this year moving on to college soon and our son, who is a teenager with special needs. After moving here, we knew that Beautiful North Carolina was the right fit for us. For one the price of homes compared to California fit our pocketbook. Also, after living so close to the beach for so long we knew we had to be close enough we could dip our toes in at any given moment. After seeing the beach here there was no mistake where we needed to be, and the MOUNTAINS, what more can I say. I am now on a new journey, a journey of helping others find comfort in where they lay their head. My husband retires in 2019 after 27 years of dedicated service to the Marines and our beautiful country. I did 19 years of that time standing by his side. After moving here, we feared what was in store. When we found our REALTOR®, she made us feel comfortable in the choice of our home. I then knew exactly what I wanted to do. As a REALTOR®, I want to help you find comfort in wherever you call home. As well as being in real estate, I am a Navy wife, and a mom to 5 amazing kiddos. I am finally back in my home state of North Carolina after spending 6 years on the west coast. The unique experience of being in a military family has helped me to adapt and overcome many unexpected situations. It has also allowed me to understand the special needs that many face when it comes to buying and selling real estate. Before becoming an agent, I worked as a surgical technologist at a level 1 trauma center in Charlotte, NC. As a surgical tech, it was my job to anticipate the needs of the surgeon before being asked to fulfill them. The very nature of every trauma situation requires the ability to think critically in a fast paced environment to ensure positive outcomes. I believe that the experience and skills that I gained in the surgical field have translated well into this career as a REALTOR. It is my job as a Strategic Listing Specialist to anticipate the market, and how it will influence the listing price for any given property. It is also my duty to ensure that my clients have all of the information that they need to make informed decisions concerning the sale of their home. I believe that a house, for many people, is one of the largest investments of time and financial resources. It is my responsibility as a REALTOR to protect that investment. It is my goal with every transaction to leave my clients with a sense of peace about the entire process. I was born and raised in Columbus, GA where I graduated from Carver High School in 2005. After high school, I attended Columbus State University and begin working as a Assistant Coordinator at one of the top motor clubs in the country. After completing two years of college, I decided to join to U.S. Army and serve my country. While I was in the Army, I became a better man. I learned discipline, knowledge, motivation, and accountability. After serving my country, I returned to school and begin my passion for pursing real estate. After hard work and determination, I earned my real estate license in the state of Georgia. 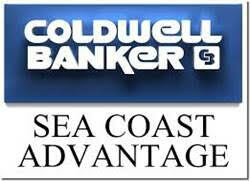 After moving to Jacksonville, NC, I begin working with Coldwell Banker Sea Coast Advantage. I am passionate about being a realtor and looking forward to exceeding your expectations. I am apart of "Your Hometown Team". As a buyer specialist on the team, I am certain that my no-quit attitude and charming personality will leave you more than satisfied. Call me today so that I can help turn your home-buying dreams into a reality.